Home » Help Center » How can I find the email my user registered with? How can I find the email my user registered with? Sometimes applicants forget the log-in email (username) they used in order to register, then create a new one by mistake or change their email in a form after registration- this confuses everyone, and can be easily avoided. 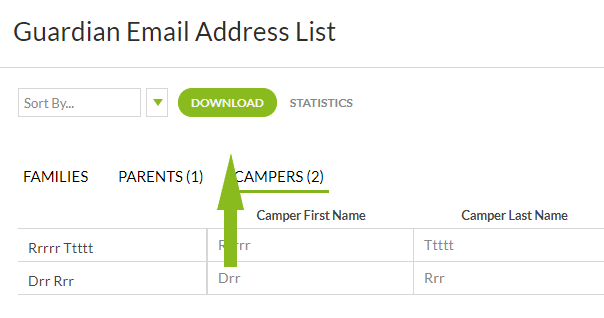 Although you are not able to change their log-in email directly, you are able to figure out which email address each user should log in with. Then, you can make sure your users are using the right log-in email to access the right account. 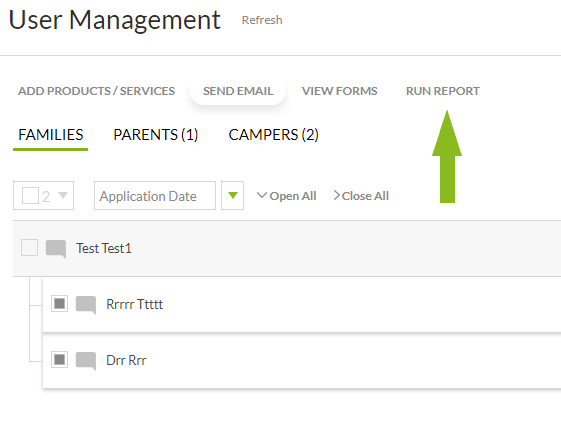 You can even add this report to the quick view so you will have access to this right on the user management page! Go to settings –> reports –> create new report. Then you’ll place your new report in a category. Once you select the category, you can name your report and select whether you would like this report in your quick view by turning the function “on” or “off”. After you create your report, click edit fields. Go to the “System Fields” category. You may have to scroll down to find the “System” category. 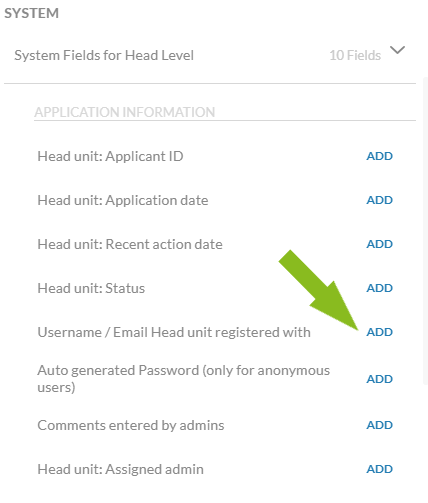 If you are in a family system, be sure to select the Head Level System Fields. This will expand the menu to include the system fields. Hit “add” beside the username/email head unit registered with. This will add the field to the report. 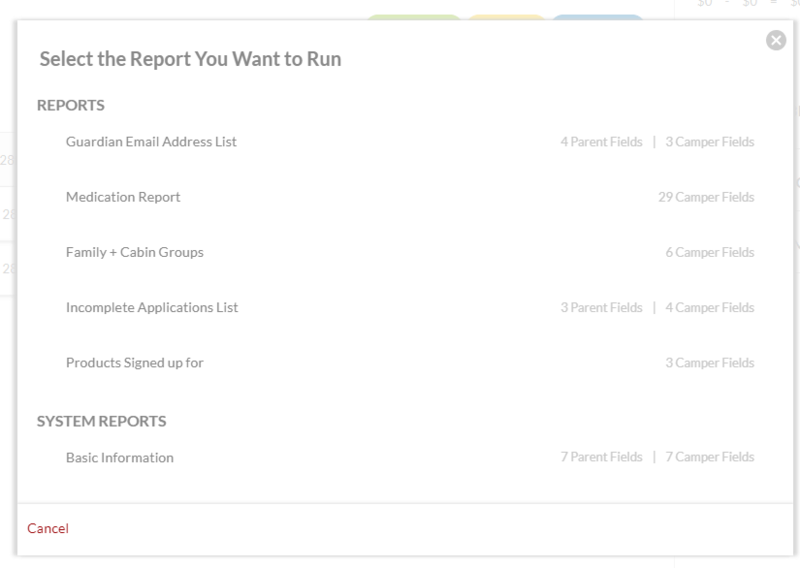 To run the report, click on the word “users” on the left side panel to go to user management. Select the users you’d like to report on (you can filter or manually select them by clicking on the box to the left of their name). Click run report at the top of the screen. Select the report you’d like to run by clicking on it. The list of reports below is an example from a sample system. The reports in your project are going to be the ones that you created in settings –> reports. Clicking on the report will bring up a report preview. You can look at the content there, or download it by clicking download. If you need further assistance running a user report, check out our article here.